Welcome to Day 2 of YCS Salt Lake City! 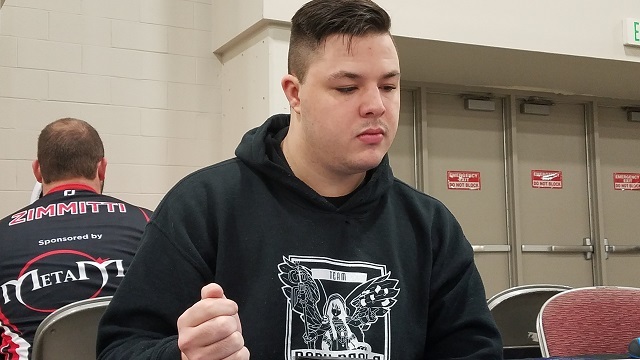 We’ve got Dakota Angeloff, here from Tuscaloosa, AL, packing a Lightsworn Zombie Deck. 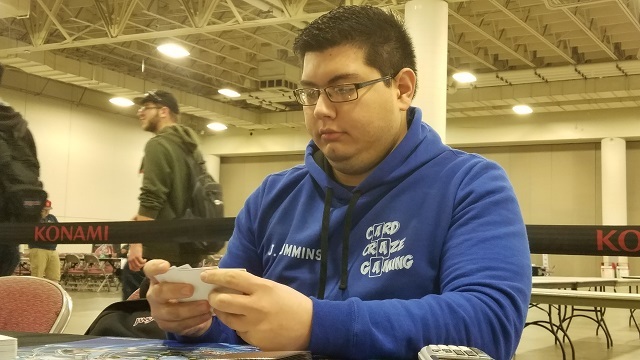 He’s not using the Dinosaur engine that many Duelists have flocked to, and it’s clearly working because he’s got a strong 6-2 record right now. He’s up against Jeremy Cummins, from Denton, TX. Cummins is using a Pendulum Magician Deck, which is still proving to be a top strategy. Cummins won the die roll and chose to play first. He started with Foolish Burial, and Angeloff negated it with Ash Blossom & Joyous Spring. Cummins used Pendulum Call next, discarding Astrograph Sorcerer to add Black Fang Magician and Harmonizing Magician to his hand. He played Black Fang and another Astrograph in his Pendulum Zones, and Pendulum Summoned Harmonizing Magician. Its effect Special Summoned Wisdom-Eye Magician, and he used both Magicians to play Heavymetalfoes Electrumite. Electrumite placed a Chronograph Sorcerer in his Extra Deck, then destroyed Astrograph and added the same Astrograph to his hand. He Special Summoned it and drew a card with Electrumite’s final effect. He played Duelist Alliance to get Time Pendulumgraph and Set it. Angeloff had a hand of That Grass Looks Greener, Lonefire Blossom, Performage Hat Tricker, Pot of Desires, and Brilliant Fusion, minus the Ash Blossom he’d used earlier. He activated That Grass Looks Greener, sending 25 cards to the Graveyard! Notable cards included 2 Mezuki, 2 Uni-Zombie, Shiranui Solitaire, Shiranui Spiritmaster, and Lonefire Blossom. He banished Mezuki to Special Summon Uni-Zombie, then Special Summoned Hat Tricker from his hand. He used them to Synchro Summon Black Rose Dragon, destroying everything! Only Black Fang Magician survived, due to last turn’s Pendulum Call. 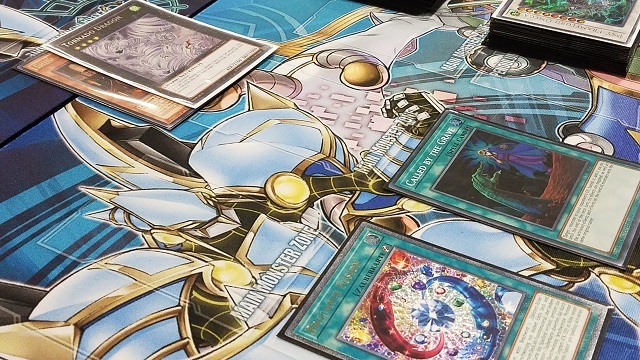 Angeloff played Brilliant Fusion next, fusing Fairy Tail – Snow and Gem-Knight Garnet from his Deck to play Gem-Knight Seraphinite. Pot of Desires was next, letting him draw Called by the Grave and Predaplant Ophrys Scorpio. He Special Summoned Snow from the Graveyard, banishing Solitaire and Spiritmaster in the process. Solitaire Special Summoned Spiritmaster. He then used his other Mezuki to Special Summon Uni-Zombie, and tuned it to Seraphinite for PSY-Framelord Omega! He attacked with Spiritmaster, Snow, and Omega, then banished Omega to banish Purple Poison Magician from Cummins’s hand. Then, he stacked Spiritmaster and Snow for Tornado Dragon. He detached Snow from it to target Black Fang. Black Fang survived destruction again, but Angeloff had simply wanted to get Snow in the Graveyard. He Set Called by the Grave to finish. Black Fang cut Tornado Dragon’s ATK in half. Cummins tried to Special Summon Astrograph from the Graveyard with Black Fang’s effect when it was destroyed, but Angeloff banished Astrograph with Called by the Grave! Cummins had no other plays! Cummins played first again and started with Foolish Burial again. He sent Supreme King Dragon Darkwurm to the Graveyard, and Special Summoned it to add Supreme King Gate Zero to his hand. He Normal Summoned Timegazer Magician, and used both monsters to play Heavymetalfoes Electrumite. He chose not to use its effect when it was Summoned, likely to avoid a potential Ghost Ogre & Snow Rabbit. He activated Gate Zero and Harmonizing Magician in his Pendulum Zones, and Pendulum Summoned Darkwurm and Timegazer back to the field, along with a Harmonizing Magician from his hand. Harmonizing’s effect brought Purple Poison Magician to the field as well. He used Darkwurm and Timegazer to play another Electrumite, and it placed Astrograph Sorcerer in his Extra Deck. He then used its effect to destroy his back row Harmonizing and get Astrograph in his hand. He Special Summoned Astrograph and added another Harmonizing to his hand, then drew a card with Electrumite’s final effect. He used Purple Poison and Harmonizing to play Evilswarm Nightmare in Defense Position, and Set one to his back row. Angeloff had a hand of Predaplant Ophrys Scorpio; Raiden, Hand of the Lightsworn; Photon Thrasher; Gold Sarcophagus; Forbidden Chalice; and Left Arm Offering. He started with Photon Thrasher, Cummins used Nightmare, and Angeloff negated that with Forbidden Chalice. Angeloff Normal Summoned Raiden, then played Left Arm Offering! He banished the rest of his hand to add That Grass Looks Greener to his hand. He played it immediately, sending 24 cards to the Graveyard! Notable cards were Mezuki, Gozuki, Performage Trick Clown, 2 Solitaire, and Heroic Challenger – Thousand Blades. He Special Summoned Trick Clown and Thousand Blades. Raiden then sent Fairy Tail – Snow to the Graveyard. 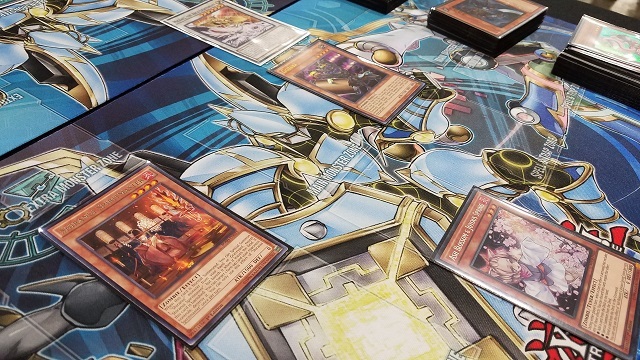 He stacked Photon Thrasher and Thousand Blades for Minerva, the Exalted Lightsworn, sending three cards including Mezuki and Raiden to the Graveyard! Because he sent a Lightsworn, Minerva let him draw Ash Blossom & Joyous Spring. He then used all of his monsters to play Curious, the Lightsworn Dominion! It sent Spiritmaster to the Graveyard, then sent three more cards including another Mezuki! He banished Mezuki to Special Summon Solitaire, and Tributed that to Special Summon Uni-Zombie from the Deck. He Special Summoned Snow next, and Synchro Summoned Black Rose Dragon to wipe out everything! That left Cummins with just two cards in his hand, while Angeloff had one. Angeloff, however, had a loaded Graveyard with two Mezuki and Snow left. He Special Summoned Snow by banishing Solitaire and Spiritmaster, and Solitaire also Special Summoned Spiritmaster. He used Mezuki to Special Summon Gozuki, which sent Uni-Zombie to the Graveyard. He banished his final Mezuki to Special Summon Uni-Zombie. He Tuned it to Snow to play Michael, the Arch-Lightsworn! He attacked with Michael, Spiritmaster, and Gozuki to drop Cummins to 2200 Life Points. In the End Phase, Michael sent three cards to the Graveyard, including another Snow. Cummins played Pendulum Call, but it was all over when Angeloff revealed Ash Blossom! Dakota Angeloff wins the Match with Lightsworn Zombies!